The Asian Canadian Community Engagement Initiative (ACCE) at the University of British Columbia is saddened by the sudden passing of Bing Thom on October 4, 2016. 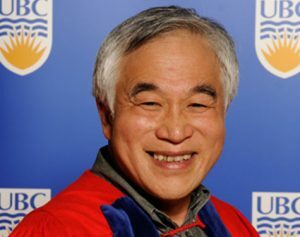 A renowned architect and urban designer, visionary activist, and dedicated educator, Bing was a prominent alumni of UBC, which is home to one of his most magnificent buildings, the Chan Centre for the Performing Arts. He was a pioneer in establishing ties with China and some of his most transformative projects are located in Shanghai, Tianjin, and his own birthplace of Hong Kong. His life and career exemplified Vancouver’s historic role as the Gateway to the Pacific. Bing’s devotion to social justice has left a lasting impact on Asian Canadian communities. As a third-generation Chinese Canadian from a trans-Pacific family, his life was directly impacted by legacies of racism and exclusion. As a young activist in Vancouver, he played a key role in movements such the democratization of the Chinese Benevolent Association and the founding of the Chinese Cultural Centre. For decades, he was one of the most respected voices and role models in the community. His dedication to raising consciousness about Asian Canadian issues continues to inspire educators here and elsewhere to integrate academic studies with community-engaged learning. While an architecture student at the University of California, Berkeley, he played an important role in the establishment of Ethnic Studies there. The flourishing field of Asian Canadian Studies is a direct result of his lifelong efforts, and when UBC’s Asian Canadian and Asian Migration Studies Program was established in 2014, he was an early supporter. Bing also contributed to, and occasionally stayed at, St. John’s College, an international residential graduate College with deep ties to Hong Kong, China, and other places in the Asia Pacific region. The members of ACCE would like to extend our sincere condolences to Bing’s family and colleagues. He is deeply missed.